I helped D2 with some props for the school's up and coming musical play. I was tasked to do a "piano". Equipped with a styropore board, a cutter, white glue, black latex paint and some barbecue sticks that I used as pegs, I made a one-and-a-half octave piano! 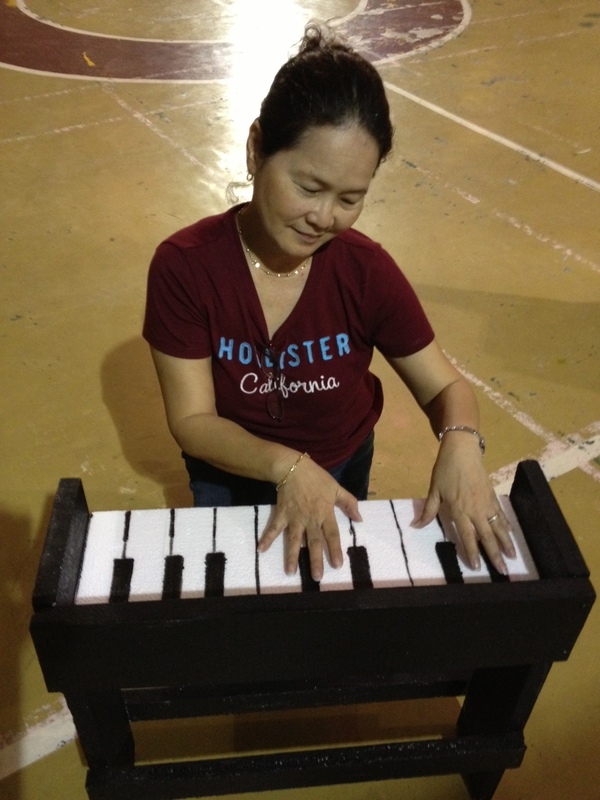 Here's me, trying the "piano" for size. Sounds a bit scratchy.